Our awarded professional designers have created fully customisable quality Christmas print ranges. There is no better way to wish your customers a Happy Christmas than by adding a personal festive touch. Promoting a special Christmas set menu with a festive table talker on each table could make your Christmas one to remember. Gorgeous festive designs help sell your Christmas Specials. Festive designs that you can customise. The joy of Christmas reaches every corner of each beautifully designed Christmas print range. 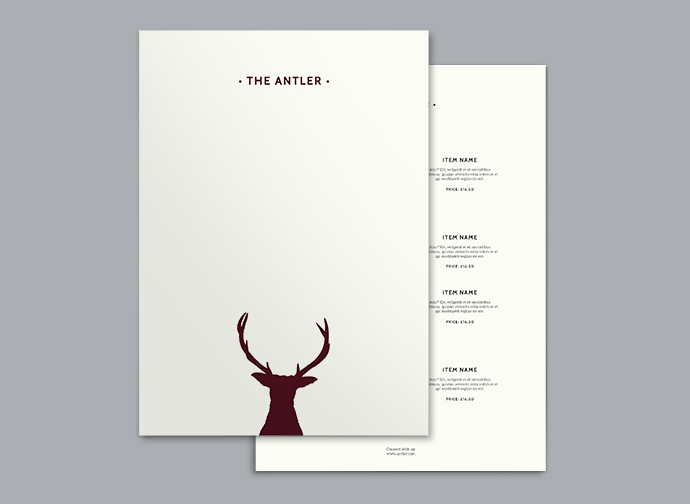 Christmas menus, festive table talkers, coasters and posters. 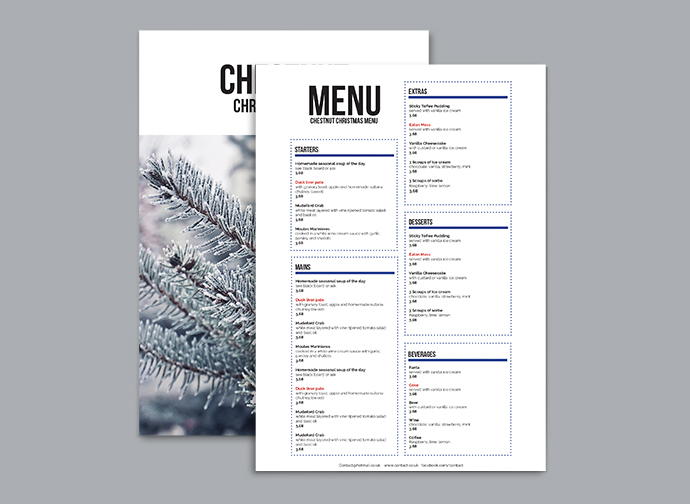 To increase bookings for your Special Set Christmas Menu try promoting with table talkers and posters in the same design style as your Christmas menu. 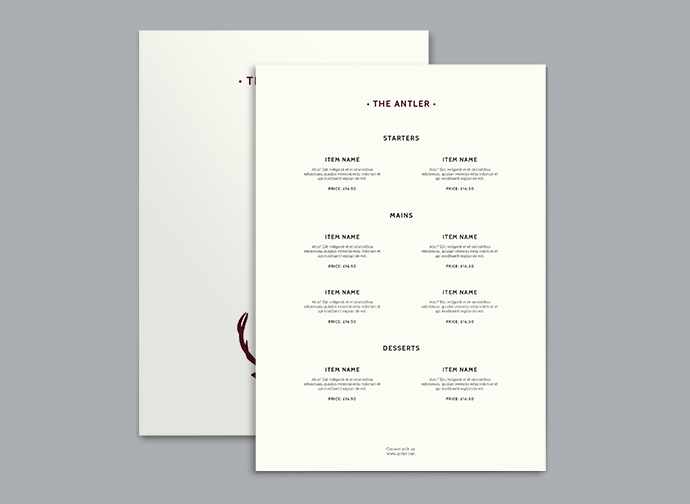 ‘tis the season of good will and great festive menu designs at Print Waiter. Beautifully designed Christmas print - fully editable Xmas menus, Christmas Table Talkers, Festive Coasters and Seasonal Posters. When you’ve chosen your print, select your delivery option - From free delivery, special 3 day delivery and even 24 hour delivery. Whichever delivery you choose, it’ll be like Christmas when they arrive. 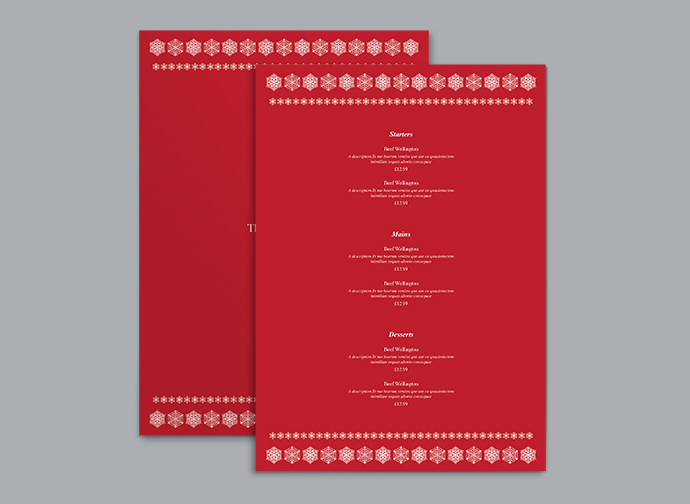 The new Print Your Own Account is perfect for Christmas specials and seasonal menus. 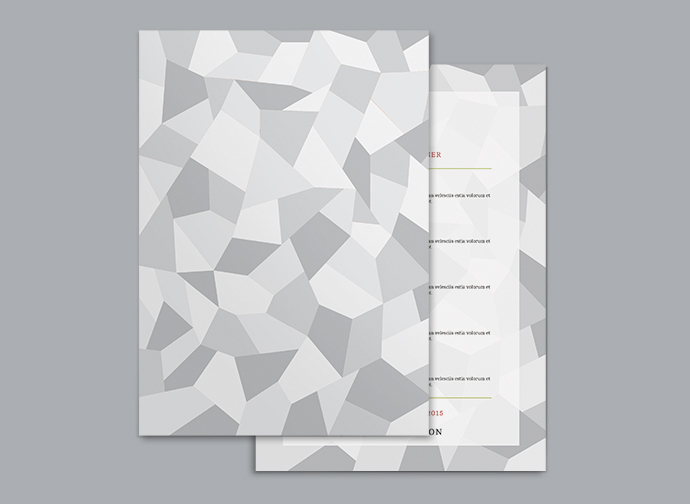 For an annual fee of just £220, you can edit, download and print unlimited menus all year round. It’s like a gift to yourself. 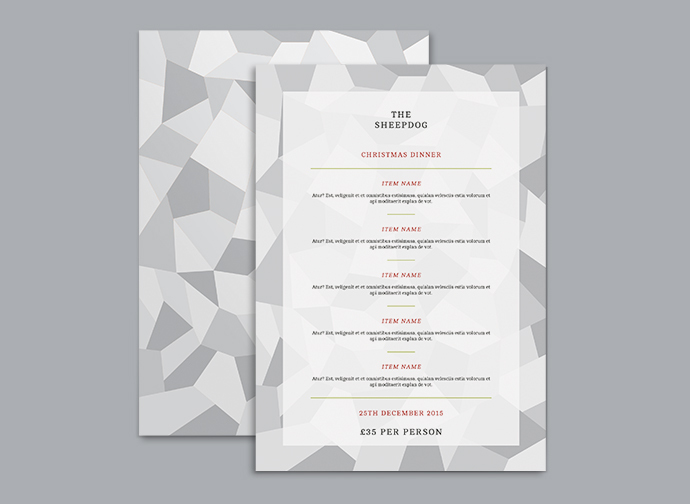 This distinctive modern Christmas menu design brings festive cool to contemporary restaurants and bars. 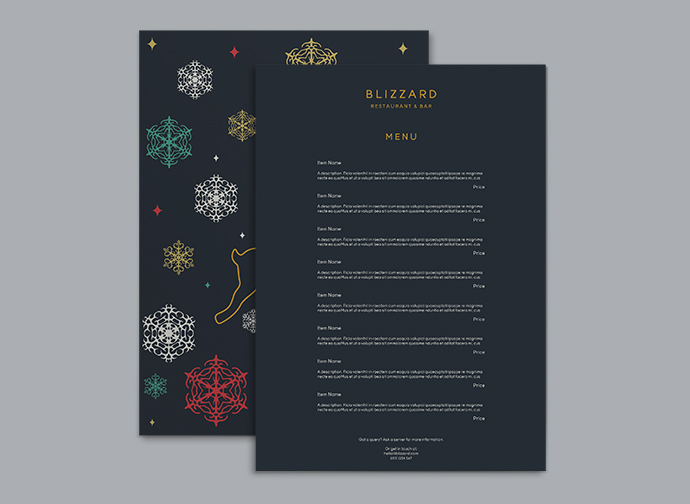 A wonderfully colourful snowflake and reindeer menu design ideal for restaurants, cafes and bars. This festive frosty menu design allows you to add your own photograph to the front for an even more personalised Christmas. 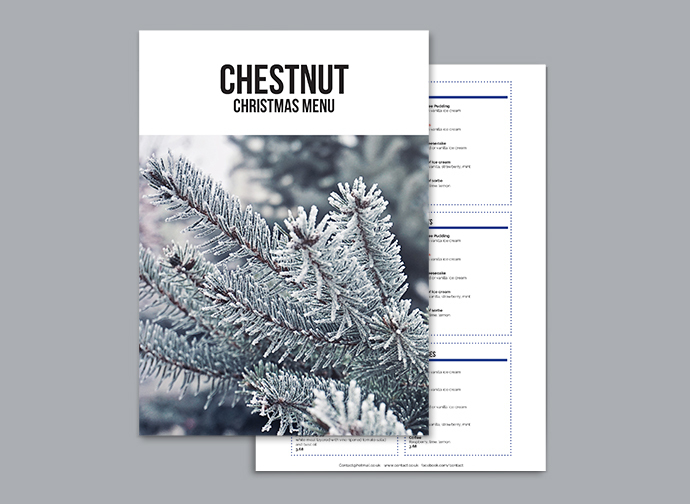 Finally, classy Christmas menu designs that don't cheapen your establishment.